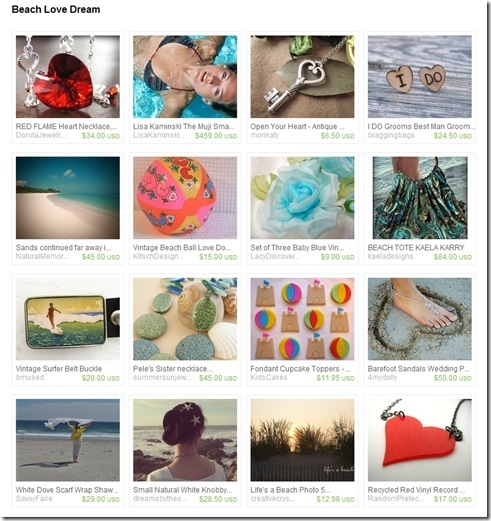 The Etsy Treasury Love Continues…. I don’t mean to bore all of you to death, but my shop items have been getting some more love lately and I just wanted to share these two great Etsy Treasuries. The first is all about pink! Bubble Gum Dreams was curated by Laura over at Yellow Cab Vintage, a pretty terrific shop! My Vintage Pink and Black Poodle Bridge Scorecards were included. 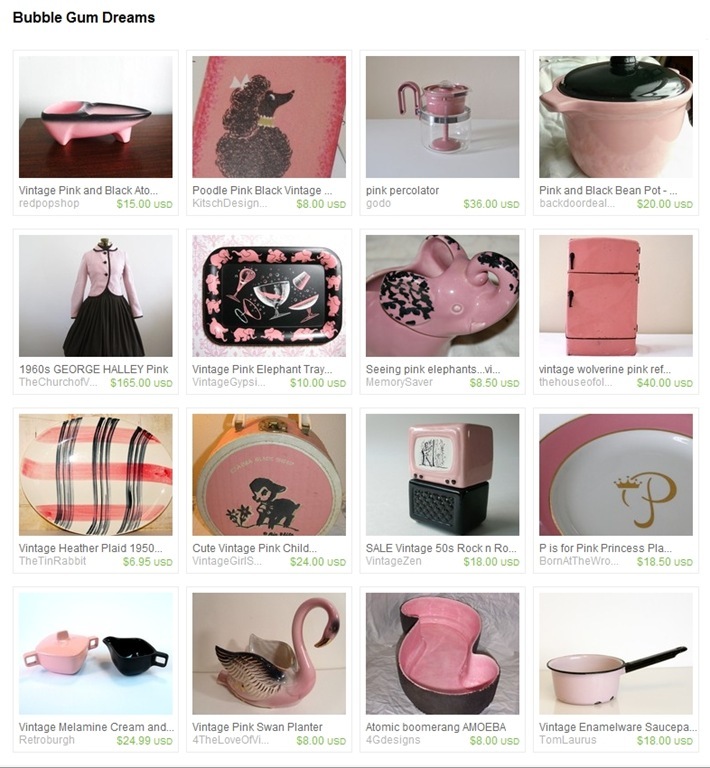 There are some super cool retro items in this Treasury. And, that darn Love and Dove Day Glo Neon Beach Ball has shown up in yet another Treasury! Mark Driscoll from Vintage Art Supply put together this story titled, Beach Love Dream. Doesn’t this just make you want to elope on a beach somewhere? Yeah! 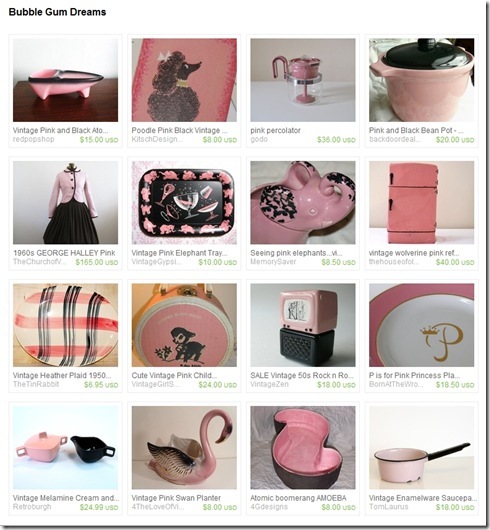 One of my items was featured in an Etsy Treasury called Tickled Pink. Evelyn Dombkowski of Evelyn Pelati Jewelry put together this lovely pink-themed treasury from the shops of Retro Handmade Team members. Please don’t forget to go check out the treasury (here) and leave a comment! So, there I am head down under the hood of our little white truck, pouring a bottle of thick sticky liquid into the engine, when I realize there are cars slowing to look over my way. The store sits on the corner of an intersection with a light, so I was in a fairly busy spot. I just happened to notice a couple of heads turn my way as cars passed through the light and then several of the men in the auto stuff store lot stopped what they were doing to look my way, as well. I realized the best part of this scene was that I was wearing a bubblegum pink hoodie that fits close enough to show my pregnant belly. I bet most of them were thinking...what in the world is this lady doing...not, whoa, check out that babe with the truck! I started cracking up as I remembered what that boy in high school had told me and I have decided that from now on every time I drive our truck I am going to wear pink!